If you’re in your late 20s or 30s, you’re in the financial sweet spot: you’ve likely worked your way up the pay scale and you still have plenty of time to boost your earnings even more—both in your career and portfolio. Here’s how to kick your finances into high gear. This is the time to cut out classic money-wasters like bank fees, unused subscriptions or mindless spending. And to review your budget to be sure your dollars are still working hard for you. Your priorities have likely shifted over time, so your budget should evolve, too. 2. Use the right accounts. Where you stash your cash makes a big difference in how well it works for you. For money earmarked for retirement, maximize your contributions to tax-advantaged accounts: your 401(k), 403(b) or other employer-sponsored plan and/or Individual Retirement Account (IRA). If your employer offers a match, take it! All of it. It can have an exponential effect on your retirement balance over time. Also, it’s free money. For your emergency fund (generally, 3-6 months of expenses) and other short-term expenses, stick with a high-yield savings account. For money you won’t need for a few years or more—to buy a home, say, or to start a family or side business—opening a regular brokerage account and investing in a diverse mix of stocks and bonds generally offers better returns. Giving your savings a serious bump isn’t painful when you set it on auto pilot. “If you manually go in and move the money, it’s probably not going to happen as consistently,” says Certified Financial Planner Taylor Schulte, founder of Define Financial. In addition to savings, automatically contribute to an IRA and other investment accounts. With your 401(k), consider upping the percentage you contribute each year—whenever you get a raise or cost-of-living adjustment, your future savings will get a bump, too. 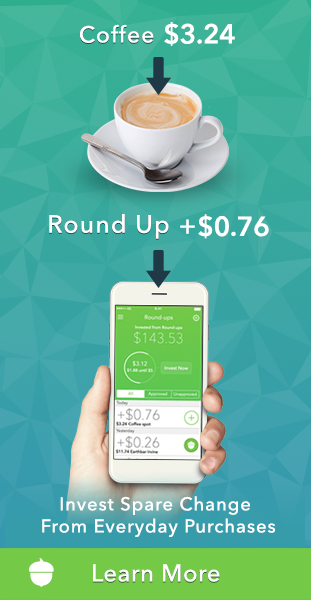 You aren’t going to get rich pinching pennies—no matter how many venti lattes you skip. Big savings come from trimming major expenses like your home and car. “We always want bigger, better, more—but if you talk to people in their 50s, they’ll say they wish they didn’t get such a big house or such nice cars,” says Nicole Mayer, an accredited investment fiduciary at RPG Life Transition Specialists. The lesson? Be realistic about what you really need and can afford. You may qualify for a larger mortgage than you expected—it often happens—but you don’t need to take it. Even small compromises on large purchases can relieve the stress of an overextended budget and help you save big bucks. 5. Look for low-cost funds. 6. Ask for what you deserve. You’ve got experience and expertise now. Are you being paid for it? If you don’t ask, you may not receive—whether it’s a pay raise or a promotion. Quantify your successes and make sure you’re jumping on opportunities to sharpen your skills so you can demonstrate the value you bring, and check out market rates before you ask for more.